The history of the Acropolis and Athens. The magnificence of the caldera and the ruins of Akrotiri in Santorini. The extraordinary Byzantine monastery of Panaghia Hozoviotissa in Amorgos. 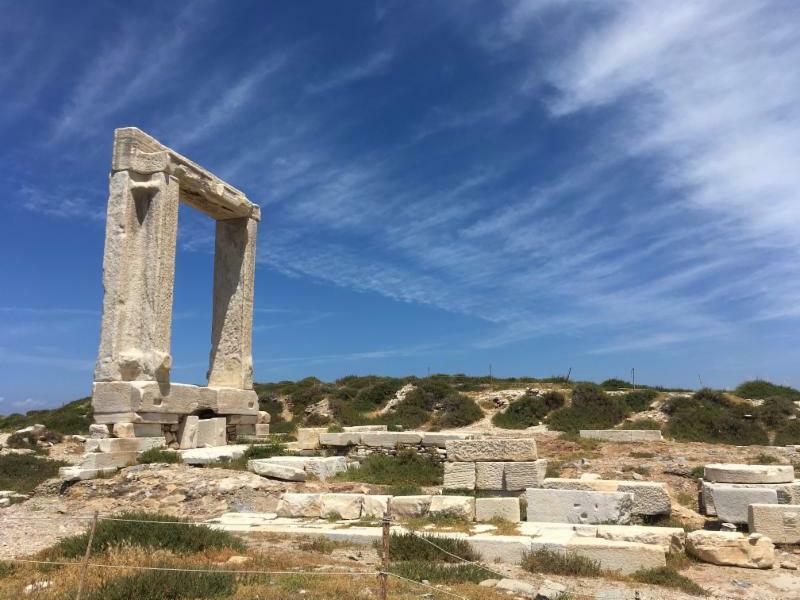 The medieval Venetian mansions and beautiful beaches of Naxos. You can see all these and more on our Blue Walk Greece. The Monastery of Panaghia Hozoviotissa was founded by the Emperor Alexius Commenius I in the 11th century and built to house an icon of the Virgin Mary. There are different versions of how the icon arrived to the island of Amorgos, the most Eastern of the Cycladic Islands. Whichever story you hear or believe, the monastery where it is housed is nothing short of amazing. Built into the side of the sheer cliffs with a winding path of 300 stone stairs leading up to it, Hozoviotissa is considered one of the religious gems of Greece. With views of crystal clear blue waters below, which provided the setting for the 1988 film “The Big Blue,” guests pause along the path for postcard like photos and get in touch with the energy of the island. Once guests reach the top they are treated to a remarkable view of the Aegean Sea, the cliffs and the secluded beach below. After entering the monastery, guests are treated to a glass of Raki, a local liqueur, and a bite of tantalizing Turkish delight, all while visiting with the resident monks. 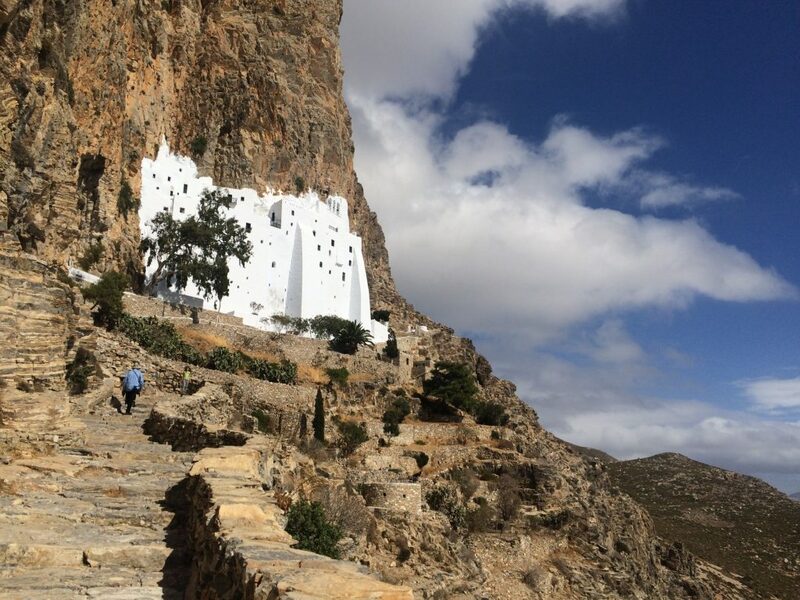 Hozoviotissa Monastery is just one of the many beautiful and unique experiences offered on our Blue Walk Greece. 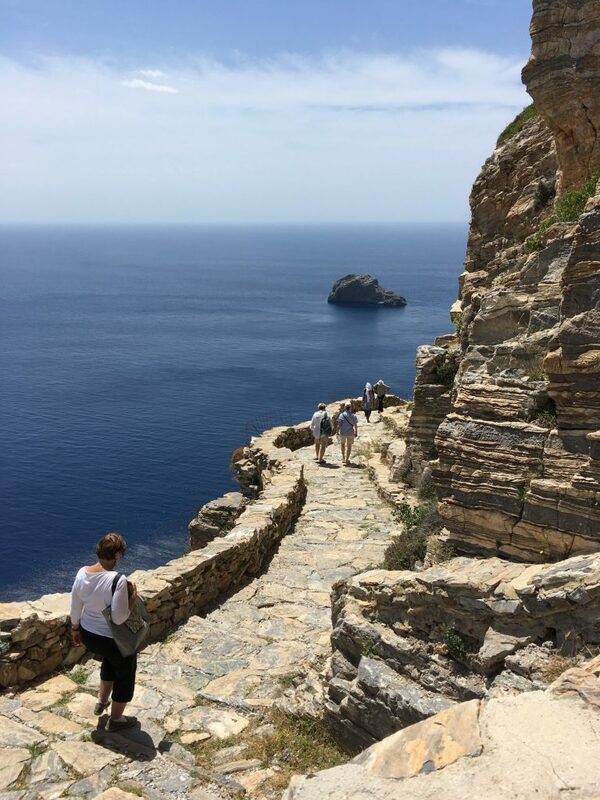 Our Blue Walk Greece walking tour vacation is a perfect blend of the famous, and the undiscovered. 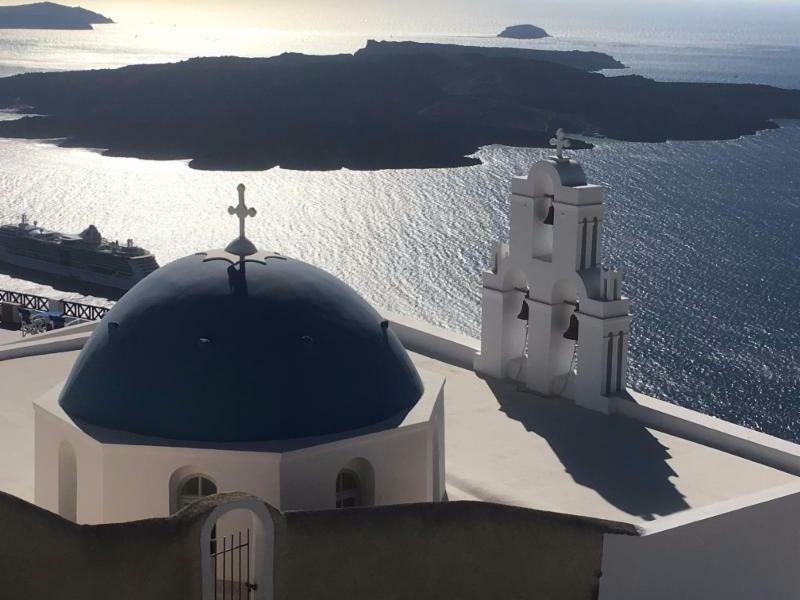 Guests have described it as “best vacation ever”, “the trip of a lifetime”, and “highly exceeded my expectations.” Join us in May or October and experience the magic of Greece for yourself. Is it time for your trip of a lifetime?